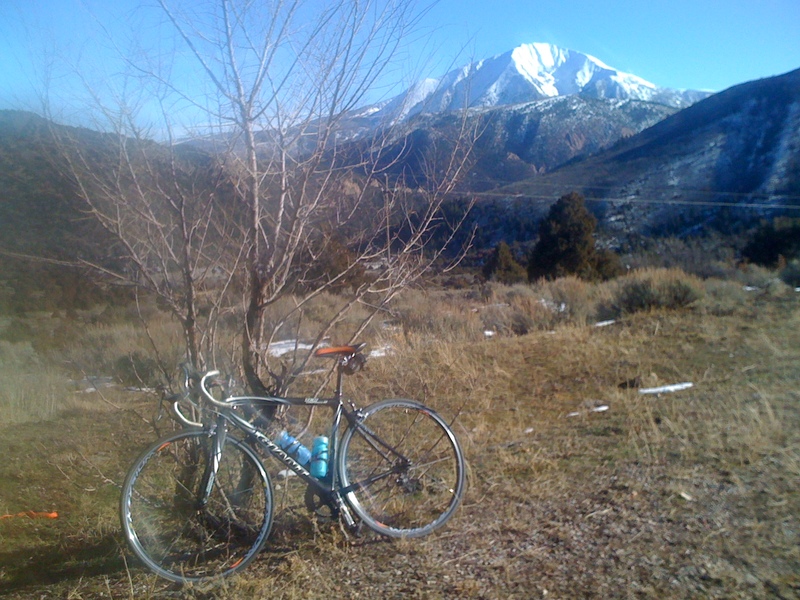 Yes, I mean my road bike on Christmas Eve and day in the mountains of Colorado. It’s a bit ridiculous that the weather has been so warm for us to ride comfortably at this time of year. As much as I’d love to be skiing, I’m not totally complaining. That being said, the mountains have plenty of snow and are skiing great. After two days of being on the bike, I decided I better get on the skis today for some training for the upcoming ski mountaineering races. My plan is to go to Jackson Hole in two weeks for a race at Jackson and then at Targhee the next day. Less than a week later is the second race in the COSMIC series at Sunlight in Glenwood. All three of these races are qualifiers for the US team that will go to the world championships in Italy in February so of course I would benefit from racing as well as possible. I hope everyone enjoyed their holiday as much as our family did. Now get out and train!